It's no big secret most longtime users of Second Life have mixed feelings at best when it comes to Linden Lab. As a corporation, they can be downright cold and ham-handed at times when it comes to the treatment of their customers. Case in point was a few years ago in late October/November 2008 when the Lab pulled what many saw as a bait-and-switch with their raising Openspace tiers by 66 percent. The result was protests by residents big and small, among them Sarah Nerd, a businesswoman on the Grid as well as a blogger and one of Second Life's stronger supporters. During the protests, Sarah got caught up in the moment and let a profanity slip into her words. The result was that she found herself suspended from logging into Second Life. That her estate business was about to take a major hit, or that Sarah was a model citizen who continually promoted Second Life mattered nothing. "I was ashamed of myself. Not because I said f***, but because it was the realization that the game I love, had no love for me." Sarah Nerd would go out of business later that year. About a year later, one of my friends, Foxyfurman Kumani, had his own problems. When the community he lived in beforehand, Woodlin, began going downhill, he formed his own estate, Foxworth, and invited his neighbors over. 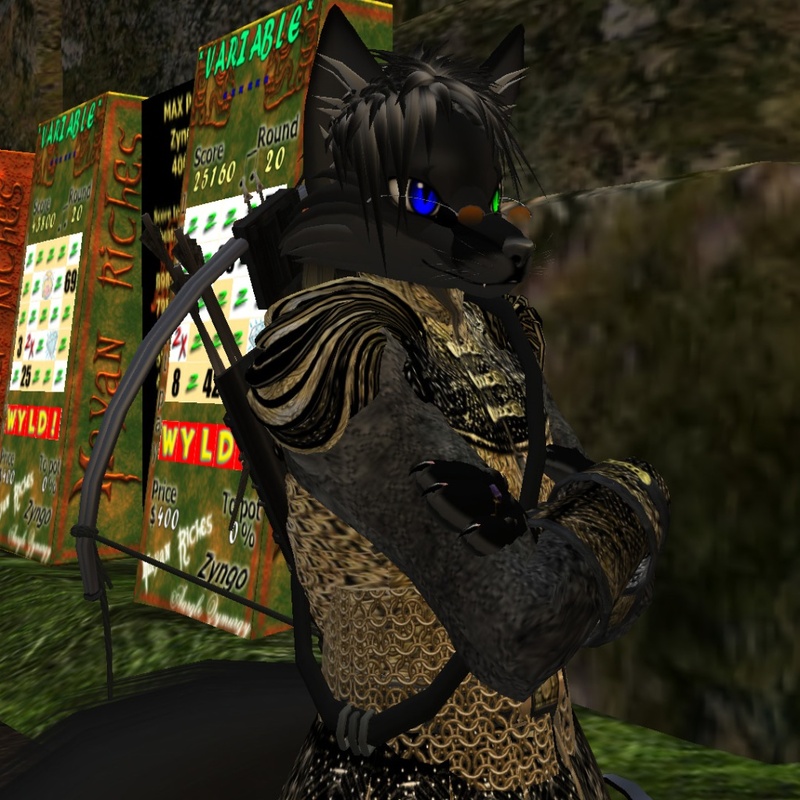 Some months later, the Lindens targeted Foxworth, banning some customers and a real-life friend he invited to Second Life, accusing him of rigging traffic numbers, "why the hell attack me?" The accounts were never restored. The sim would continue to have some trouble with the Lab. Finally changes with the policy on Zyngo games, coming at the same time a major renter decided to move on, caused Foxworth to close down. And recently there was trouble for a genius builder and scripter, as well as a good friend of mine: Alleara Snoodle. Alleara Snoodle has been mentioned a few times from her work at the Chilbo area. But preferring to work behind the scenes, her work often goes understated or unrecognized. She has made a little money through building, but has worked for free on projects for friends, as well as the Relay for Life. Usually very friendly, Alleara is more skeptical when is comes to Linden Lab. She once expressed a few opinions that sounded like she thought they could be lazy at times when it comes to problems on the Grid. But I never expected they would actually have a problem with her, considering all that she's done. That is, until a mutual friend told me she'd be off the Grid for a few days. She explained Linden Lab had suspended her account. Alleara later got in touch with me through other means, "I got kicked out (logged out by Admin) and got an email that I cannot log in until Monday." She told me she was helping a friend making science-fiction shuttlecraft. But when they tried to put them up on Marketplace, bugs in the system kept that from happening, "We sent a lot of JIRA, but nothing happened." Her persistence eventually got the attention of one of the Lindens, but not the way she hoped, "I was making him act, and he was not happy." The exchange got personal, and she ended up booted off Second Life, "I thought … he would at least react normally, but what can I say, his backyard. Every Linden can speak out a three day suspension at will with no paperwork." 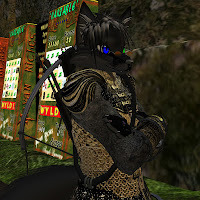 Alleara told me in the past, there was someone in Linden Lab who helped her out, but that was no longer the case, "I have lost my supporter in the Lab, so this may happen from now on." Second Life Newser sent a notecard message to the Linden Alleara named as the one who suspended her. There was no answer. After a few days, Alleara was back online, and busy with some project. Unlike Sara Nerd a few years ago, she had already learned not to be shocked at Linden Lab's ill will toward those who support Second Life. Bah on anyone who would hurt Alleara. Ok, I never thought I'd see the day when the Lindens would do active targeting like that. I knew they'd turned cold in recent years only focused on profit, but not to this point! Alleara is one of the sweetest people I know. If LL is now banning people (however temporarily) just for insisting that we GET what we are PAYING for, then the death of the grid truly is nigh. Alleara is one of the kindest people. I know. If this Linden got snippy and banned her, even temporarily, he or she needs to be disciplined - but its not going to happen. Alleara has a dear, sweet heart. I talked to Alleara not long after the article went up. She was, humbled, by the attention, and thankful for all those whom expressed their support.